“在比較短期與長期有氧運動後各年齡的肌肉蛋白合成，不論年長者(10, 28, 34) 較年輕的族群(15, 17, 24, 38) 都會有增加，跟年齡沒啥關係(!!!) (10, 34) (Figure 1). 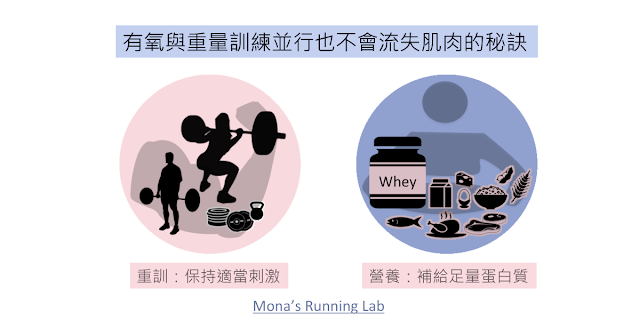 耐力運動員想要減脂肪的，蛋白質攝取量要到1.8~2.7g/kg/day Phillips SM et al. 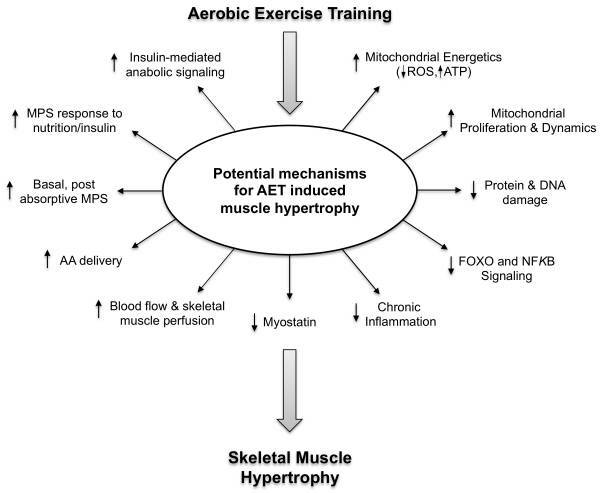 The role of milk- and soy-based protein in support of muscle protein synthesis and muscle protein accretion in young and elderly persons. J Am Coll Nutr. 2009 Aug;28(4):343-54. 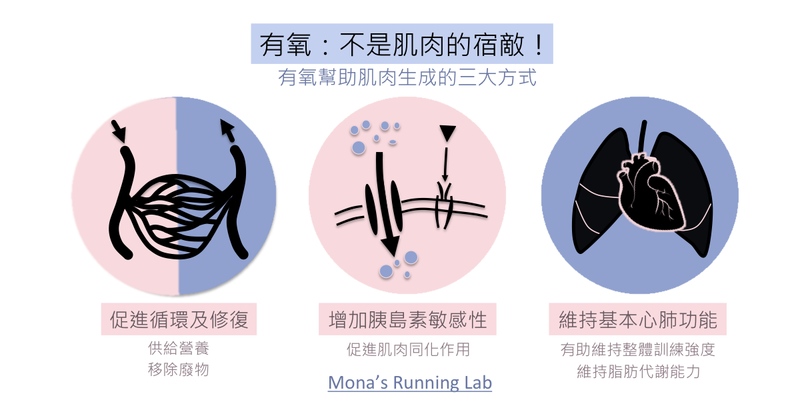 乳清蛋白有好處：improve energy and stamina 因為裡面富含BCAA Phillips SM et al. The role of milk- and soy-based protein in support of muscle protein synthesis and muscle protein accretion in young and elderly persons. J Am Coll Nutr. 2009 Aug;28(4):343-54. Does Running Make You Lose Muscle Mass?